Consistent with our Jesuit philosophy, The University of Scranton’s Doctor of Nursing Practice (DNP) program will provide graduate education in a learning environment where ethical leadership, creative problem-solving, service to patients and communities, inter-professional teamwork, appreciation of diversity and commitment to practice excellence are the hallmarks. The emphasis of our DNP program is on preparing local, regional, national and international nurse leaders who will use their expertise to provide evidence-based care for improving the health of vulnerable populations. 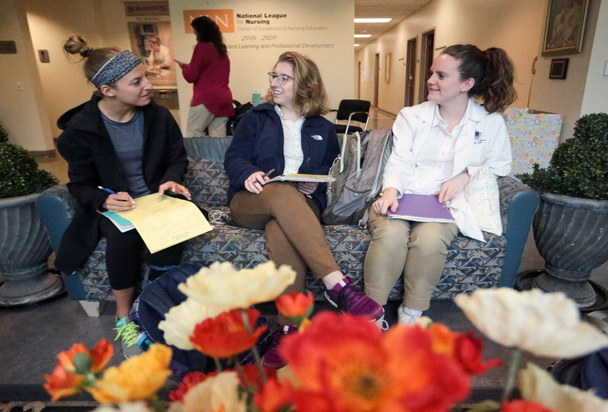 Scranton's graduate Nursing program was ranked #98 in the nation by U.S. News & World Report in its 2019 edition of "Best Graduate Schools." An applicant to the DNP degree program must possess a master’s degree in nursing (MSN) from a CCNE or ACEN accredited program with preparation or certification in an advanced nursing practice specialty, have an MSN GPA of 3.20 or higher, and be licensed as a registered nurse in the state of Pennsylvania. The applicant must submit three professional references and a 3-4 page essay describing current and past clinical practice, scholarly career achievements and the proposed topic for the scholarly project. The topic may be a practice improvement issue or a clinical management problem. The paper should cite appropriate sources where applicable and follow APA format. An interview with the program director or a faculty member to clarify goals and objectives is required. Students are admitted to the DNP program for the fall semester only. For general application requirements, please click here. Our 30-credit program can be completed in 21 months with full-time study with entry in fall and graduation two years later in May. Courses are taken sequentially and learning is cumulative, building to completion of the scholarly capstone project. 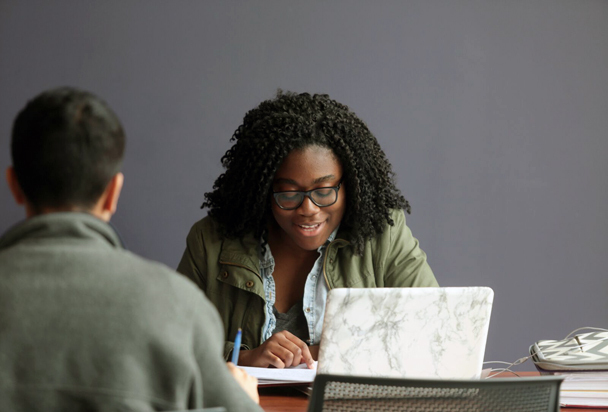 Students are expected to take two courses (six credits) per semester for five semesters, which includes the summer between the first and second years. Part-time study is also available. Students interested in part-time study should contact the program director. Students will complete an evidence-based scholarly project (capstone) with significant potential to positively change health care delivery or improve patient outcomes for vulnerable patients, families, communities or populations. 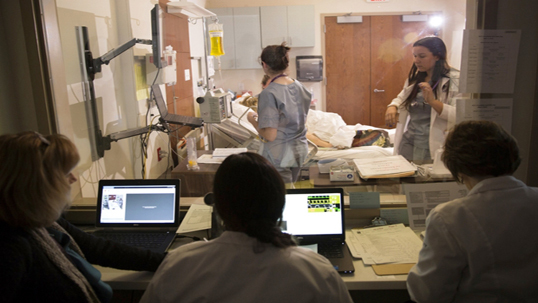 In addition, all students will be required to complete a minimum of 1,000 clinical hours. The clinical hours are to be related to the scholarly project and/or to advance knowledge in the student’s area of specialization. Advanced nursing practice students will be given credit for the clinical hours completed in their master’s specialty program and will complete additional hours to fulfill the 1,000 clinical hours total required for the DNP program. US News & World Report rated The University of Scranton among the 10 top master’s universities in the North in its “America’s Best Colleges” ranking. At $772 per credit, the tuition cost for our DNP program is among the most competitive in PA and for regionally accredited universities. As one of the 28 Jesuit colleges and universities in the United States, The University of Scranton is dedicated to developing the whole person. 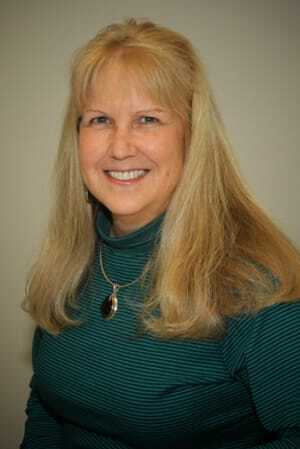 The DNP program is designed to prepare graduates for independent practice in advanced practice nursing specialities. A graduate of the DNP program will possess enhanced organizational and leadership skills in health care delivery, expertise in the application of evidence-based practice to improve patient and health care outcomes, and the ability to lead inter-professional teams. DNP is designed for different schedules with a hybrid model that allows for both on-campus and on-line coursework. Students complete a capstone project that has potential to positively change health care delivery and improve patient outcomes. With over 30 programs The University of Scranton can help you to achieve your goals, personally and professionally. Find out what our students and faculty have to say about graduate education at Scranton. Advancement in independent practice, leadership positions in various settings, executives in healthcare, clinical program directors, faculty positions, etc. The baccalaureate degree program in nursing, master's degree program in nursing, Doctor of Nursing Practice program, and post-graduate APRN certificate program at the University of Scranton are accredited by the Commission on Collegiate Nursing Education, 655 K Street, NW, Suite 750, Washington, DC 20001, 202-887-6791. DNP-prepared nurses are well-equipped to fully implement the science developed by nurse researchers prepared in PhD, DNSc, and other research-focused nursing doctorates. The program will position graduates well for the changes and opportunities expected to arise for health care practice in the future, including advancement in independent practice, leadership positions in a variety of practice settings, executive positions in health care organizations, directors of clinical programs, faculty positions responsible for clinical program delivery, and teaching positions in the clinical setting.